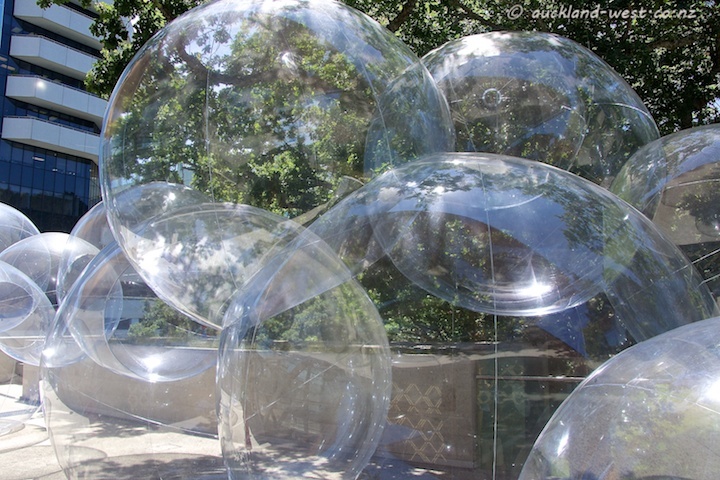 This work “Soom” (breath) by Korean-born artist Seung Yul Oh consists of 16 PVC ‘soap bubbles’ (held inflated by a compressor). 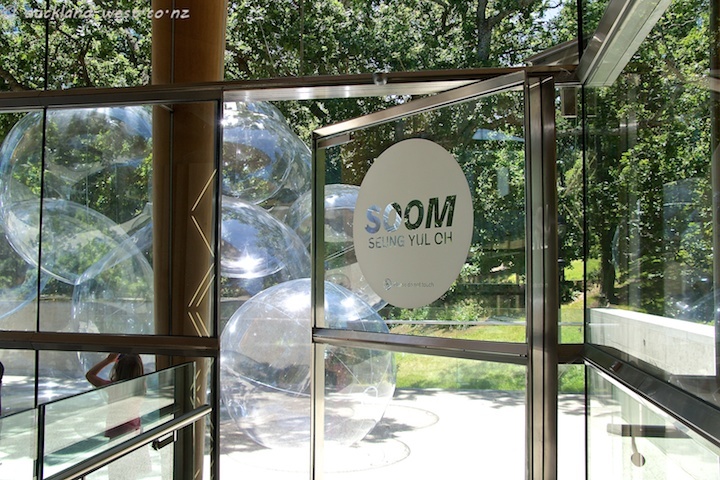 A close cooperation between artist, designer (John-Troy O’Sullivan) and manufacturer (Fabric Structure Systems). 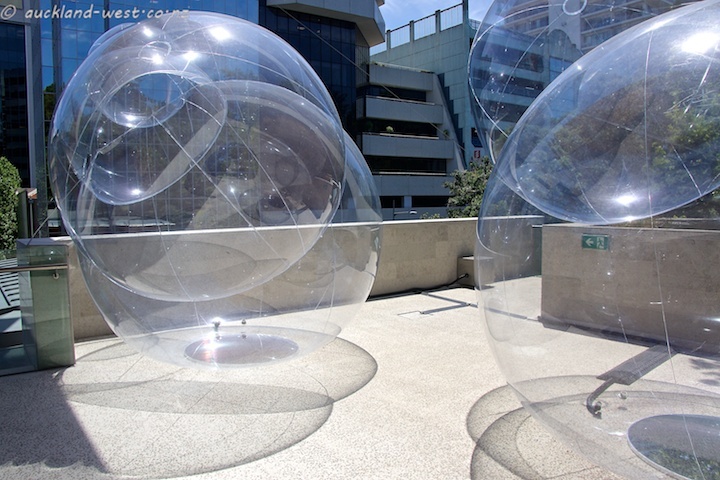 Commissioned by Auckland Art Gallery, supported by Chartwell Trust and Fabric Structure Systems. I loved the idea and its realisation in the elevated position on the terrace and proximity to the trees, but found the limited space a bit restrictive. Intriguing art that does seem to need more surrounding space to appreciate it fully from many perspectives. Love the lighting on the bubbles.